If there's a particular celebration you or someone you know participates in that we missed, let us know by leaving a comment on this post. Or, if you think we got something wrong, please also comment and let us know. We try to be as accurate as possible, but if there's a mistake, we want to correct it. Veterans Day is an American federal holiday. Veterans Day and Memorial Day are often confused. Memorial Day honors American veterans who died serving their country. Veterans Day pays tribute to all American veterans. Veterans Day was originally called Armistice Day. November 11 is still Armistice Day in the rest of the world. World War I (WWI) was called the Great War, and the War to End All Wars. When it started in August 1914, people thought it would end by Christmas 1914. What nations hoped would be a quick war dragged on for four years, and millions died on the battlefields in Europe. A temporary armistice (ceasefire) took effect on the 11th hour of the 11th day of the 11th month (11 a.m. on November 11, 1918). This brought about the end of fighting in the war. The official treaty to end the war was signed on June 28, 1919. However, many people consider November 11, 1918 as the official end of the war. 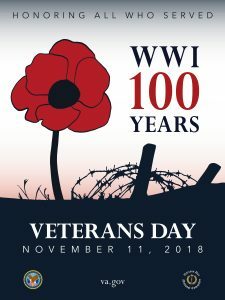 A year later, President Woodrow Wilson declared November 11, 1919 as the first Armistice Day; a day to celebrate peace. It was observed with parades and public gatherings. School and work paused at 11 a.m. for a short period of time. Armistice Day was intended to bring up memories of suffering, military incompetence, greed, and destruction. Armistice Day was considered a sacred day because it was supposed to remind people not to start new wars. In 1954, two more wars had passed (WWII and the Korean War). Veterans' service organizations convinced congress to rename the holiday to Veterans Day. This was to acknowledge veterans from wars other than WWI. Now on Veterans Day, many cities in the United States hold parades for their veterans. a celebration of the birth of of Bahá’u’lláh, the co-founder of the Bahá’i faith, born in Tehran, Iran on November 12, 1817. Bahá’u’lláh, which means Glory of God, was born Mírzá Husayn-`Alí Nuri. He deemed himself a prophet and claimed to be a messenger of God. 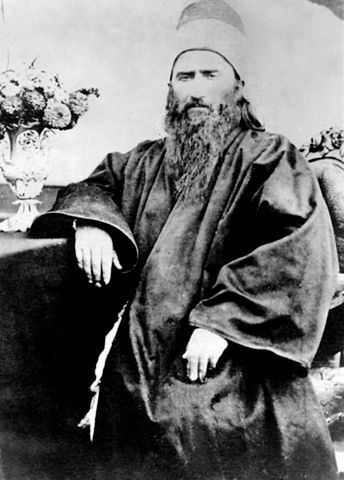 Bahá’u’lláh was eventually persecuted and sent to jail for his religious beliefs. On May 9, 1892, Bahá’u’lláh had a slight fever that worsened over time, and on May 29, he died. He is now buried in a shrine next to the Mansion of Bahjí, where he died. The religious works that Bahá’u’lláh left behind were used as the basis for the Baha’i faith. Bahá’i’s are free to celebrate the Birth of the Baha’u’llah however they like. Traditionally, they gather together and invite others to join them, regardless of their religion or personal belief. Bahá’u’lláh wanted a world where all of humanity united as one family. Bahá’i’s stay true to his message of unity by welcoming all to come and celebrate with them no matter their differences. Learn more about the Baha’í faith by checking out the books below.